Handwashing with soap after faecal contact is key to preventing disease and death from enteric infectious diseases. Our study, recently published in the IJE, is the first to provide global, regional and country estimates of handwashing with soap after potential contact with human faeces, based on representative data on access to handwashing facilities collected for monitoring of the Sustainable Development Goals (SDGs). Our results show that handwashing with soap after using the toilet or other potential contact with human faeces is poorly practised worldwide and that even the necessary equipment – handwashing facilities with soap and water – are inaccessible to billions of people. Rheumatic Heart Disease (RHD) is caused by a bacterial (streptococcal) throat infection acquired in childhood. Although this type of infection is common and widespread, a small proportion of children so affected go on to develop an inflammatory condition that leads to scarring and narrowing of the heart valves and, in time, heart failure. Early on in the course of the disease the joints may be affected – hence the term “rheumatic”. 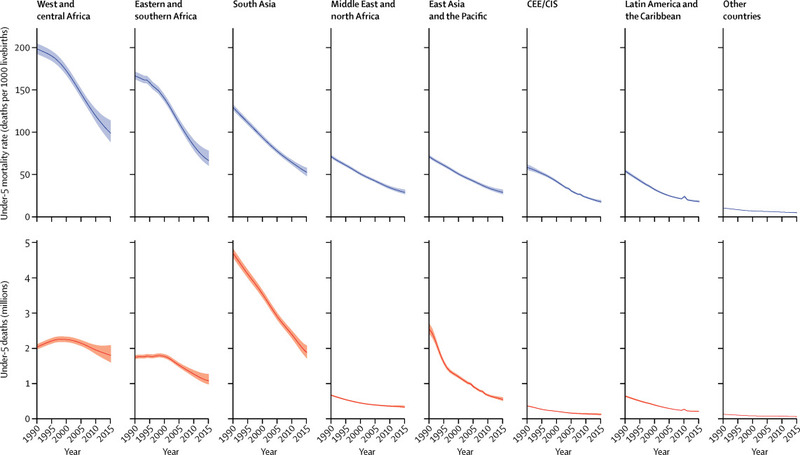 Over the past two decades, low- and middle-income countries (LMICs) have made considerable progress towards reducing child mortality. In spite of these achievements, almost six million children under the age of five are estimated to have died in 2015. Many of these deaths could likely be avoided if high quality antenatal care and delivery at health facilities were available to mothers and their children. Yet access to high quality health services remains low in many settings.